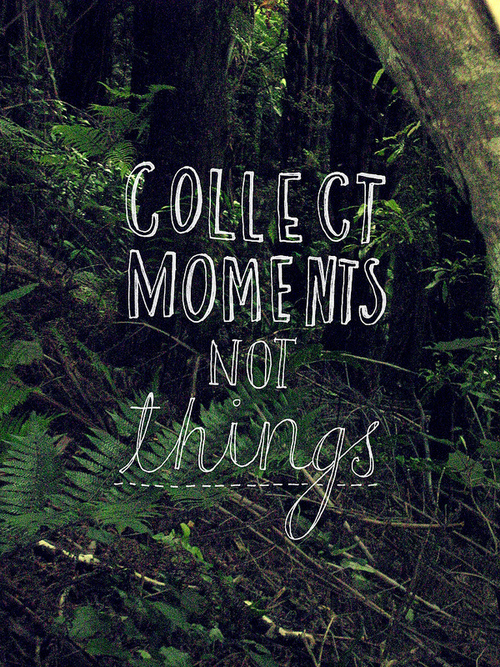 What are some of the most important things in your life? We all have those moments in life when we sit back and reflect on what is important to us. Being a woman full of emotions I do this quite often. There are so many things that hold such great importance in my life. I try all of the time to better myself (what I believe to be better) as much as I possibly can. I am the only person that knows the true and honest form of me….I know what I feel and what I think and I know what areas need improvement. What is important to me is giving back wherever and whenever I can….whether it be big or small. I remember watching an episode of Friends a few years back and there was a debate whether or not there was really the possibility of a selfless good deed and they came to the conclusion that there was not. When we perform a good deed, even if we want it to be about the other person/people, it is inevitable we are going to feel good inside for what we have done. Doing good deeds for others gives us the feeling of being alive and serving a purpose…we are able to see life outside of ourselves by doing this. Whether or not there is or is not the possibility of a selfless good deed…a good deed is a good deed. In life I feel the most inspired and the most alive when I am able to make others smile or help others in time of need (especially when they don’t ask for help). I feel like I am serving my purpose in this world when I tell people all of the good things about themselves and lift their spirits when they are down. I believe EVERYONE in life needs and deserves kind words every single day….this unfortunately does not happen for a lot of people. I know what it feels like to receive a genuine compliment or kind words from a friend, family member or even stranger and I want others to be able to feel what I feel…I want people to experience the same feeling of appreciation and love. I sometimes fumble in life and I have no idea how to deal with certain people (especially those with strong, loud personalities). I am learning though. I have a difficult time accepting myself sometimes…accepting my thoughts and my feelings because I hate the idea of offending people and hurting people. Just yesterday (and the day before) I had a minor spat with a fellow blogger and it bothered me…I spoke my peace but I hated the idea of being harsh…my words were in a moment. I accept what that moment was and it was what I felt then but right here right now, after reflection, I know that I am not built to be angry or spiteful or rude. I know that I do not want to be thought of as that kind of person and I know that taking ownership for my actions and saying I am sorry is sometimes necessary (as hard as it can be sometimes). I admit to having a very difficult time accepting that some people will not like me and that some people are very different from myself (in the way they vocalize themselves and in their opinions). This is that avenue in my life in which I need to figure out a way to be proactive instead of reactive in these situations. There are millions of things in life that hold so much importance to me. Life is this beautiful journey of not only self-discovery but of life-discovery. It is beyond amazing to be able to learn from others and to watch others in their path of life. Some of those paths I would like to follow in their footsteps while others make me want to steer another direction. As many of you know, I am not a religious person. I question a great deal when it comes to the truths of God and the Bible and Christianity as a whole. I love to explore all of the religions and enjoy the here and now as much as I possibly can. With that being said, I have a friend (and he does not know this), that has very strong faith. He attends church regularly and he participates in several church/youth related activities. Through so much of my doubts, I have been tempted to ask him to educate me…to show me the world through his eyes (as far as religion and his belief system goes). Yesterday kind of slapped me in the face and I realized that even though I have my doubts and even though I may still have my doubts afterwards, I really want to learn where others come from and how/why they believe as they do. I have based a lot of my beliefs on only pieces instead of the whole (well as much of the whole as I could learn in my lifetime). The reason I have chosen this person to potentially ask is because of the way I have heard him speak. He has strong convictions yes but that is not the reason. I have heard him speak and his words seem to inspire. He never tells people he is right…he just speaks with so much belief and with such ease. It does not feel intimidating at all….it actually feels very inspiring to be around. He poses a lot of questions and that is what I like…I love being challenged. Last night I realized I was addressing a lot of negative topics and it was time to turn it around and focus on the positive. The issues are important whether past or present but I also know for myself that I need to focus on the beauty in order to keep my balance. I need to remember that the media sensationalizes the bad more than the good because that is what draws in the crowd and where the money is (sad but true). I know it is important to remember that as much information as I try to seek there will always be more….I may never have a solid answer in this lifetime but that does not mean I should close myself off to only one point of view. I started this blog to learn more about myself….to find out my strengths and my weaknesses and both of those I have certainly found on this writing journey. I am continually amazed at the words that form from my fingertips with such ease…the thoughts that swarm my mind that I did not even know were there. What is so very important to me is finding balance in my life. I want to enjoy the journey and find those things, those thoughts and those feelings that come so very natural to me. Moments in life may feel uncomfortable but that is a part of it all….it is the polar opposites that we need in order to find out who we are and where we stand in this life. It took me a long time to realize that. I don’t know who will read this but to a specific person that I spoke of yesterday I wanted to send out an apology. Our views may not match but I was “speaking” in a reactive manner and that is not who I am. I closed my mind to your point and view and made an immediate assumption. I am learning my lesson in life that everyone is different due to experience and acceptance of that can be one of the hardest things in the world to do. I guess I can be more hard-headed than I realized. 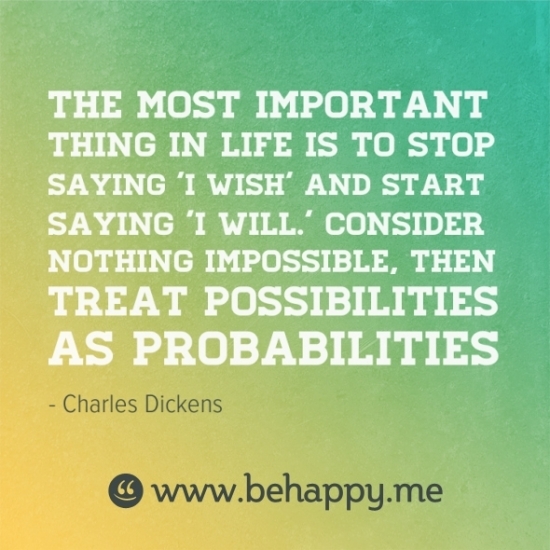 Ah…I love the Dickens quote!…must agree with it! Beautiful! Discovering oneself is the first step to fulfilment. Taking responsibility of both intended and unintended actions is the secret to mastery. Getting along with people and adding value to their lives is true relevance. Sometimes to give, there must be a willing hand to receive. Certain people just choose to live in their own worlds. Be consistent with living up to your values and don’t be discouraged by individual differences. Everybody is right in their own eyes. Be the best you can be. Your values are truly inspiring. Thanks for sharing and I hope your blogger friend gets the point. Remain unique! My family, always. And the environment.